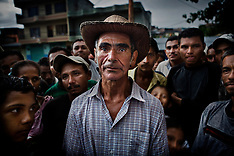 In Colombia there are around four million internally displaced persons. Whether they are fleeing the paramilitaries or the guerrillas, they often ends up in the slums outsides Colombia’s largest cities. Last year more than 300 000 Colombians left their homes.